William H. Roberts, Naval Officer today, was awarded $7,500 damages against Olga Petrova, Russian actress, for plagiarism from his play “The Red Wig” in production of “The White Peacock”. Roberts had brought suit for $35,000 royalties, claiming the actress appropriated the plot and dialog of his play. The jury had heard testimony for four days and deliberated for an hour and a half. Justice O’Malloy gave both sides ten days in which to file briefs on the motion of Nash Rockwood, counsel for Olga Petrova to have the verdict set aside. 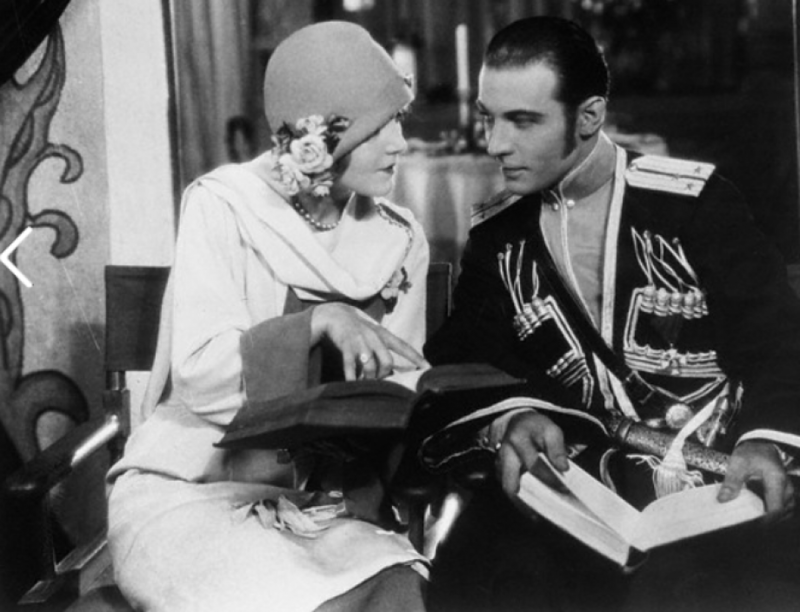 Rudolph Valentino, of film fame, who playing the leading role in “Blood and Sand”, which had been mentioned during the trial as containing many similarities to “The Red Wig” was the last witness called by Mme. Petrova in closing her defense. The ace of sheiks was dressed in gray tweeds and reddish tan shoes with gray suede tops. He wore a gold “slave bracelet” on his right wrist. Rudy was a bit late getting to court and nearly lost the opportunity of testifying, as the defense already had rested, but Justice O’Malley allowed them to put him on the stand. Col William Rand, counsel for the plaintiff, seemed entirely satisfied with Valentino’s testimony and declined to interrogate him. When Valentino entered the court room, followed by a bevy of flappers and youthful sheiks, he went immediately to Mme. Petrova at the counsel table. Making a courtly bow from the waist, “Rudy” kissed Mme. Petrova’s hand in the most gallant Valentino fashion. Referring to the theme of “Blood and Sand”, Valentino said” “It is a vivid story of passionate and lustful Spanish life. The male character becomes famous because of his ability as a bull fighter. He is a man of low birth. A lady of wealth becomes infatuated with him and they a liaison. “The main theme of ‘Blood and Sand’ is propaganda against bull fighting in Spain”. When Valentino made that statement COL Rand seemed pleased, as previous testimony had been that the theme of both “The Red Wig” and “The White Peacock” promulgated the economic independence of women and the defense had introduced testimony that “Blood and Sand” and “The Red Wig” were similar. At the conclusion of Valentino’s testimony a short recess was taken while both sides prepared to start their summation to the jury. During this recess Mme. Petrova and Valentino posed together for the newspaper photographers. Mme. Petrova appeared in court yesterday gowned in another charming creation. During the four days the trial has been in session she has appeared in a new and startling Parisian creation each day. Yesterday, she wore a black velvet turban, with a black ostrich plume drooping over her right shoulder. Her costume was set-off with a shimmering silver cloth blouse and a string of pearls. When recalled to the stand she testified that she had named her play “The White Peacock” due to reference in the dialog to the “proud peacock” which denoted the pride and bearing of the leading woman character. Roberts, the plantiff was recalled the brief testimony in rebuttal. Prior to writing “The Red Wig” in 1918, he declared he never had seen, heard of or read either the book or play of “Blood and Sand”. Regarding a similarity in the description of bull fights in his play and “Blood and Sand” he could offer no explanation, but averred he had seen at least 20 bull fights and in writing his play gave his own impressions.